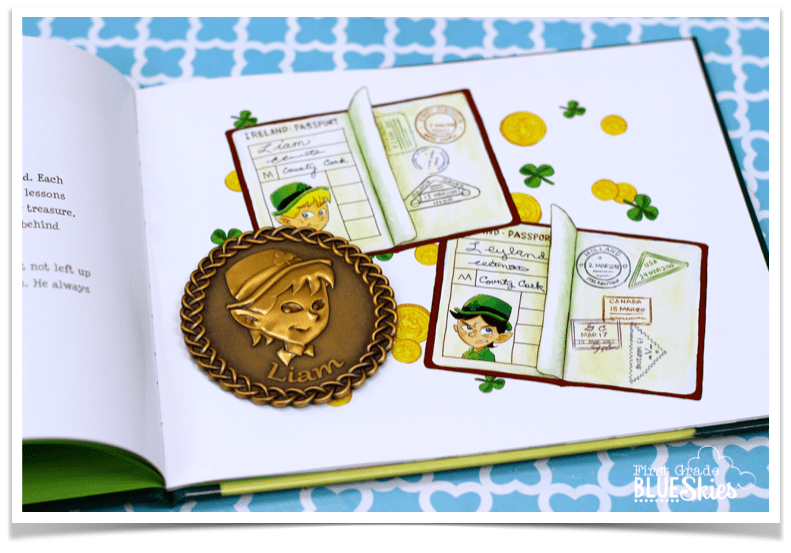 I love St Patrick’s Day and adding a fun book with a cute tradition seems like a no-brainer! 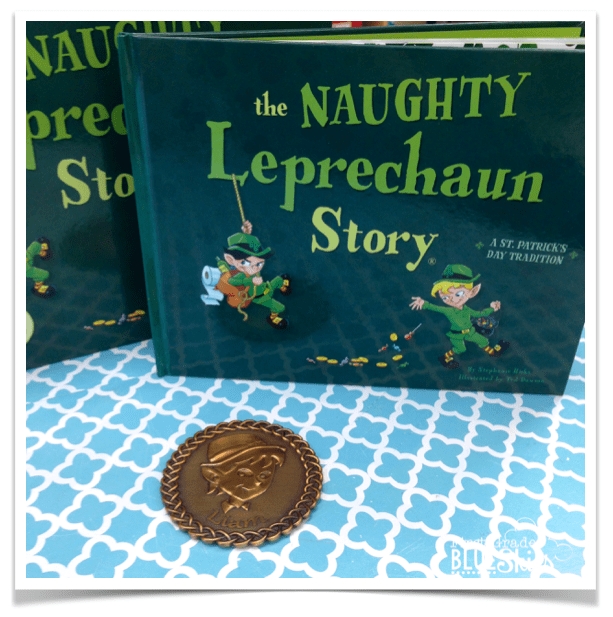 The Naughty Leprechaun includes a book and a magic coin where your students can choose tricks or treasures for the night’s visit. 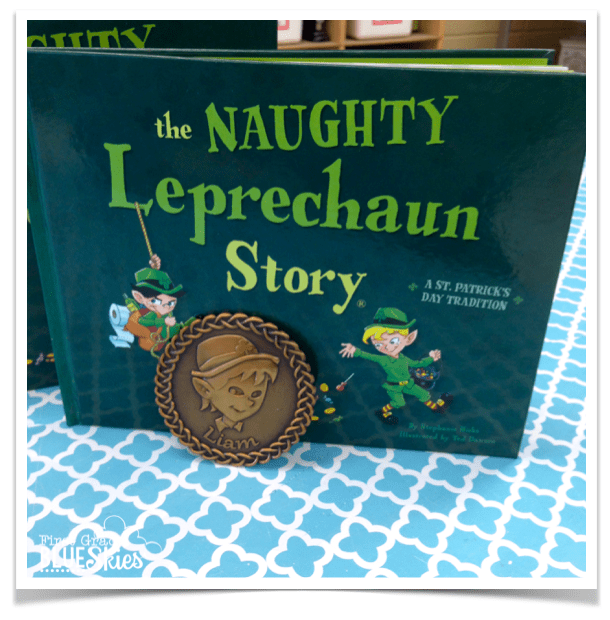 The Naughty Leprechaun Story, A St. Patrick’s Day Tradition is a fun activity for home or the classroom that lasts for three fun days! What started as a fun family tradition evolved into an interactive teachable lesson about creating your own luck and not relying on random chance. The moral throughout the story allows children to understand the consequences of their actions and take ownership of the outcome in a fun interactive way! Label It! President’s, Valentine’s, St Patrick’s Days and even Safari Animals! *Plus a Freebie, too! What a cute book!! Thanks for sharing it with us bloggers!! Oooohhhh I want this book! I have a book hoarding problem and haven't seen this one yet! Our naughty visitor leaves the toilet water green with gold glitter! My first graders always giggle at that! Oh, I need this book! I just can't help myself when it comes to books! Oh I need this book for my son and my classroom! Thanks for sharing! This book looks great! The naughty Leprechaun would put all the green behavior stars on red!! The book sounds cute!! If the Naughty Leprechaun visited our class, he'd pull tricks with the students' class dojo points in the morning! The Naughty Leprechaun would put all of the chairs on top of the desks in the morning before the students arrive for the day! P.S You definitely find the coolest books and activities to do with the students! The Naughty Leprechaun would leave a path of destruction for my students to find in the morning. 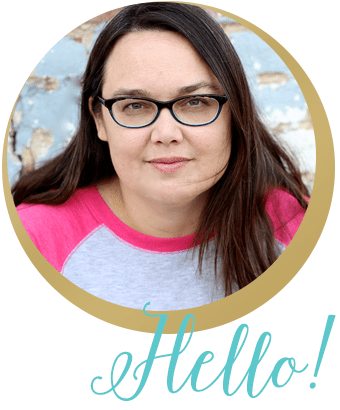 What a fun idea–thanks for the opportunity! This book looks super cute! My naughty leprechaun would switch out my quiet work music with something active and lively or draw on students' pictures in our transitional slide show. He would make messes around the room and in the kid's cubbies. He would also leave footprints for the children to follow! Footprints to a mess is always fun! I just love your ideas! You are so creative! He would do everything and anything! I love this! The naughty leprechaun would paint a picture for the children and get paint on his feet. Then he would jump from table to table and all over the floor with his green painted feet. Then he would roll the room with toilet paper. Of course, he would leave them gold chocolate coins for cleaning up his mess. Ohh this is cute! I think he would leave little green footprints around and he would hide a pot of "gold" (treat) somewhere for the kids to discover. He would lead us on a scavenger hunt for his gold!! Leyland would mess up our classroom and leave his footprints all over our desks! He would tie up our Kindness Elves because they tried to stop him! Leyland would turn the tables upside down! He would create havoc in the classroom and keep the kids captivated.